Eight inches long. 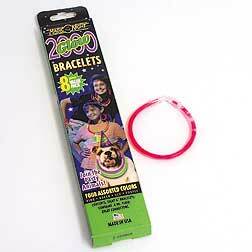 Several different options are available on the glow bracelets. 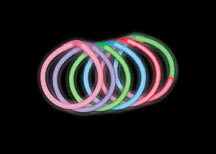 Box of 8 glow bracelets, assorted colors. $6.30 per box for 12 boxes or more. 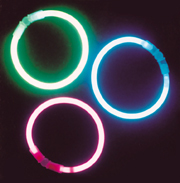 $5.61 per box for 72 boxes or more.